Hello ... Hello ... my old friends ... It's great to see you once again! These days, one of the measures of a truly appreciated and loved artiste is the degree to which talented fans and musicians get together to form bands that seek to reproduce the studio or stage sound of their heroes. And so it was last night as yours Truly KJS travelled the thirty  odd miles [in very soggy conditions] to visit The Roadhouse in Birmingham for the first time to see the debut of The Explosive Light Orchestra [ExpLO] in the very heartland of ELO. 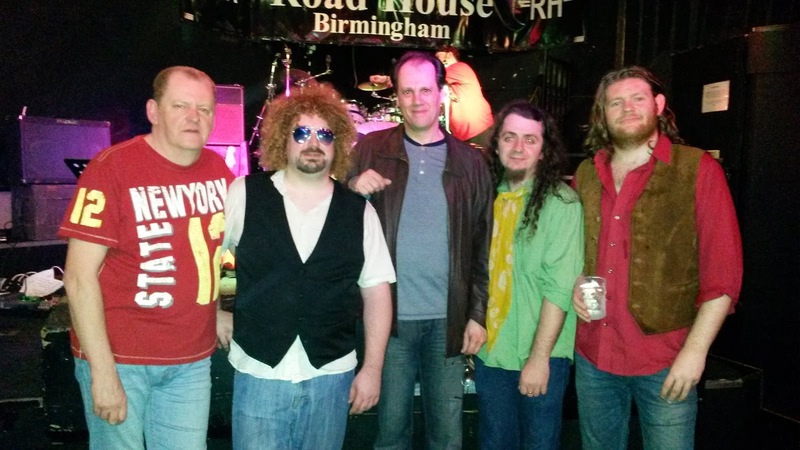 The Roadhouse is a smart, compact and friendly venue located in Kings Norton and last night, with its 250 capacity nearly attained, it provided the perfect stage for classy support band The Zoe Green Band to deliver a powerful set of blues tinted songs including a sublime "Purple Rain". The Explosive Light Orchestra duly arrived to an enthusiastic Brummie welcome before proceeding to deliver an incendiary set of ELO classics that included a superb guitar-laden version of "Strange Magic", a storming "10538 Overture" and "Calling America" [duly covering the full ELO singles chronology] as well as - in particular - some rather clever rocked-up interpretations of those heady 1979-80 ELO disco-themed classics from:"Discovery" and "Xanadu". The vocoder was in use all night and not least when the band brought the house down with "Mr. Blue Sky". The band oozed confidence in their adopted musical home as they performed their final encore "Roll Over Beethoven" to a round of full applause. Where this, their four  member line-up, were a little restricted by the pre-programmed keyboards and strings, they more than made up for it with their charm and an impressive, audience-engaging performance. I, for one, am looking forward to their forthcoming return to the Midlands for an appearance at The Tackeroo in Hednesford on Saturday 19th April. See you there? "Wild West Hero"; "Strange Magic"; "All Over The World"; "Xanadu"; "Calling America"; "Sweet Talkin' Woman"; "Don't Bring Me Down"; "Roll Over Beethoven"
ELO Beatles Forever [ELOBF] recommends The Explosive Light Orchestra [ExpLO] to those enlightened folks who also like ELO, Jeff Lynne, Roy Wood, 'Brum Beat', The Idle Race, The Move, The Beatles and related artistes. Thank you for your review and support! It was a brilliant night!